Three locations are up for debate as to which would be the best site for Leighton Buzzard’s much-needed health hub. 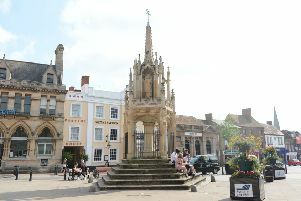 In January last year, Central Bedfordshire Council (CBC) and Bedfordshire Clinical Commissioning Group (BCCG) announced plans to develop an ‘Integrated Health and Care Hub’ in the town, which could provide a range of services from specialist GPs and nurses to diagnostics and day procedures. At a recent meeting of the town council’s partnership committee, three locations were reavealed as potential sites for the hub: south of the High Street, south of Vandyke Road and the VOSA test station. The minutes from the meeting of CBC’s partnership committee said: “Significant population growth and changing needs in the area had resulted in the need to remodel how health care services were delivered. As part of the council’s BLMK Sustainability and Transformation Plans (STP), five hubs have been planned for the Central Bedfordshire area and it was predicted that the Leighton-Linslade hub would be completed by 2023. The hub should reduce the need to travel to hospital. In a joint statement from CBC and BCCG, a spokeswoman said: “The council and BCCG are working together to determine the feasibility of ‘Integrated Health and Care Hubs’ across Central Bedfordshire. This is a complex process and involves the development of business cases to establish the need and viability for these hubs.